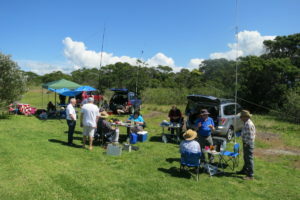 News – Mid South Coast Amateur Radio Club Inc. 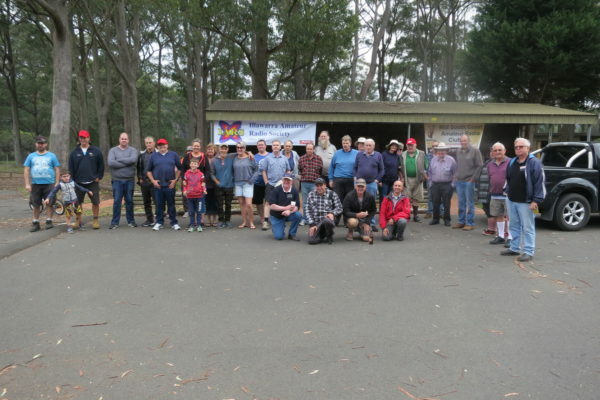 The Second Tri Club Picnic is being held on Saturday 21 April 2018. Please see flyer below for details, or click here for the event details. 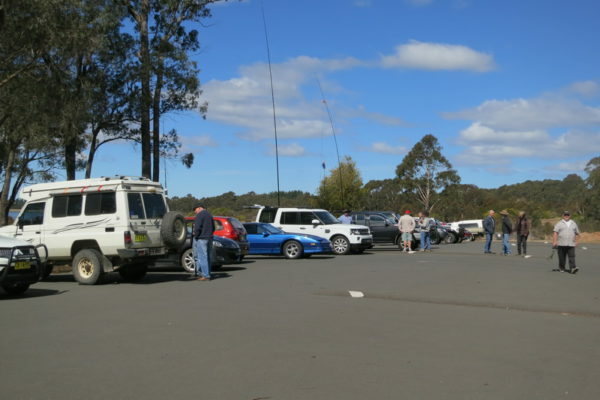 On Saturday 9 September the members of the Mid South Coast Amateur Radio Club , the Illawarra Amateur Radio Society and the Goulburn and Southern Highlands Radio Society met at the Fitzroy Falls Reservoir Picnic Area for the Tri Club Picnic. It was a fine sunny day with a light breeze. In all, including wives and children there were around sixty people in attendance. 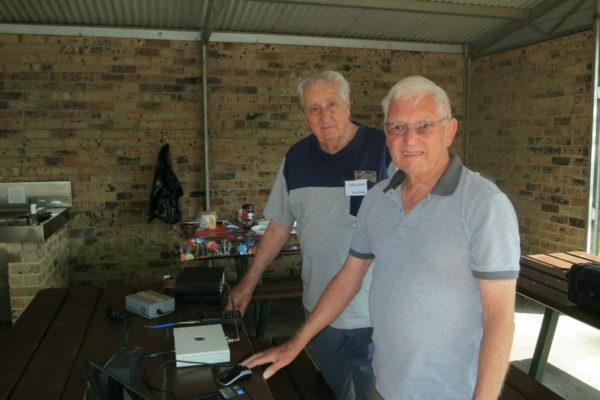 There were a number of portable stations set up and operating ranging from HF through to 23cm. 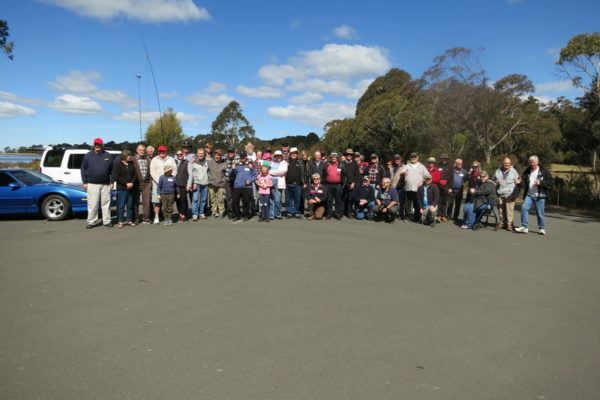 The members from all Clubs mingled and much was discussed. There was a break for the lunch which was prepared by the wives from our Club. The sausages, homemade rissoles (thanks Sue) and onions were eaten on bread and washed down with tea or coffee. A very enjoyable meal. After lunch we gathered together for a few short speeches from the Presidents and the obligatory group photo. For those who did not come you missed a great day. The results of this years contest are out. 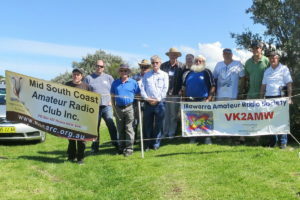 Ted VK2ARA, Brian Vk2AH, Rob VK2XIC, Darrell VK2BLS and Jason VK2FLID locals from Wollongong featured large in the results. I would like to congratulate all those members that worked so hard to make our 40th Anniversary Celebration a great success. The weather was just right, the venue was great and the company was first class. 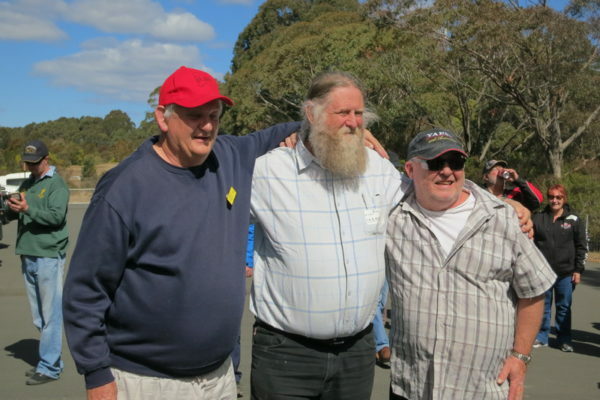 It was good to meet so many “old” acquaintances, some of them had travelled quite a distance. Roger Harrison VK2ZRH was the WIA representative and he travelled down by train. 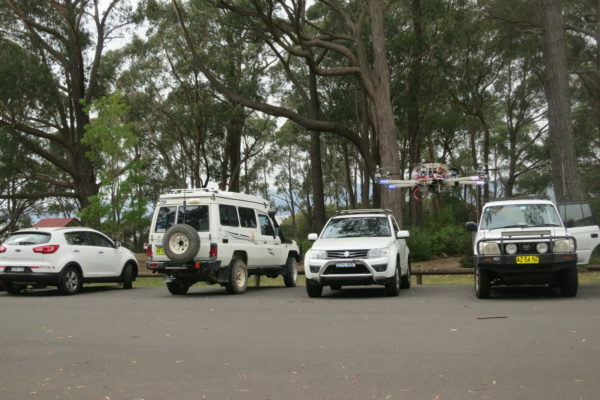 Fortunately Bob VK2TG was able to take him back to Sydney. Our thanks must go to Jenny and her helper for the splendid meal. 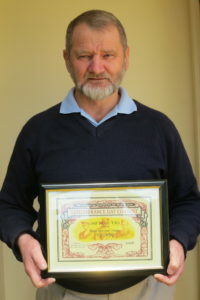 Also to Gerald VK2HBG for all his work in organising the VI2HQ40 roster, and to everyone else who worked so hard in their own way to make things go so smoothly. Just a quick post to advertise the 40th Anniversary page on this website, which is now live. It will be updated now and again with more information about the upcoming anniversary. Click “40th Anniversary” at the top of the page to visit it.